25 years of passion. A lifetime of memories. Whyalla Foreshore Marine is your local Sea-Doo® dealer, and not only boasts all the latest models, but also one of our expert staff is always on hand to provide the latest information so you can make the right decision. Whether you plan on a relaxing tour in calm water, a day of towing the kids or pushing the limits, there is guaranteed to be a Sea-Doo® model which suits you. BRP has led the induestry in innovation ever since it began makin personal watercraft. Our Sea-Doo products have featured one ground-breaking first after another: an on-water braking (iBR) system, a full suspension(S™) system, Stepped S3 Hull™ design, Closed-Loop Cooling System (CLCS) and true newtral. They also come with the most advance throttle control (iTC™), matched with the industry’s most powerful performance thanks to the legendary Rotax® 4-TEC™ engine. All of this means a level of comfort, control – and enjoyment – never before experienced on the water. The worlds most advance personal watercraft is no longer a matter of opinion. It’s a matter of fact. Ride a Sea-Doo personal Watercraft and it will change the way you think about riding forever. 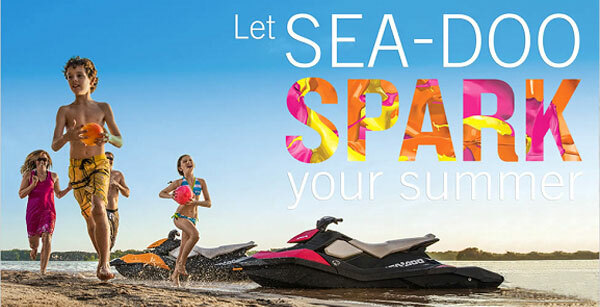 Meet the Sea-Doo Spark, a fun new way for your family to play on the water. Starting at $6,999*, it’s easy to own, easy to tow thanks to its light weight and compact size, and an absolute blast to ride. A wide range of colours and options help you customise and make it exactly the Sea-Doo Spark you want. Your family’s turn to join the fun has finally arrived! Visit BRP website for more details. Caring for your outboard engine in saltwater? 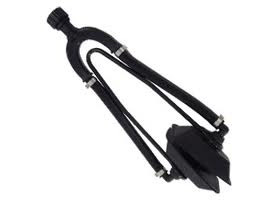 Flush your outboard with fresh water after each trip… Use a quality "ear muff" style flushing adapter that fits on the lower unit water pick-up (or flushing port when available), and run your engine at idle speed (in neutral) for at least 5 minutes to flush out any salt. Your owner's manual will give you more information (including important safety precautions) on this procedure. Copyright © 2019 Whyalla Foreshore Marine | SiteMap | All Rights Reserved. Netbiz Web Design by NetBiz Enterprises | Whyalla Foreshore Marine is a proud member of the Direct Business Network. Valid XHTML / CSS.